(Eileen Dombrowski from OUP blog) Are we on “the path back into darkness, tribalism, feudalism, superstition, and belief in magic”? The apparent upsurge of belief in astrology has sent one of my favourite bloggers and podcasters, neurologist and skeptic Steven Novella, into a paroxysm of sheer frustration. How can anything so thoroughly debunked as astrology make inroads back into public belief? But – stay cool, Steven! This is a job for Theory of Knowledge teachers! It seems to me we’re in a perfect spot to raise questions about astrology – not with earnest annoyance but with humour and a light heart. Steven Novella’s sense of urgency arises from witnessing, too often, woo-woo relativism turn critical thinking to mush. TOK teachers are his staunch allies as he fumes at treatment of all knowledge as equally acceptable – or equally dismissible. Alas that the fine human quality of tolerance of diverse claims and perspectives can be carried so far that knowledge is indistinguishable from nonsense! We might want to rage a bit ourselves. But then let’s shrug and cheer up. After all, in the northern hemisphere most of us are launching into a new teaching year and don’t want to burn out too early! What does astrology offer Theory of Knowledge? There are several lines of discussion that can be animated by taking astrological horoscopes and personality profiles into class. What do we mean by “believing”, in the case of a horoscope? How can social factors influence whether people are likely to believe their horoscopes? Why is it significant to recognize “the fallacy of personal validation” in the reading of horoscopes – and in the methodology of psychology? What appeals to me about using astrology in TOK, though, is mainly that doing so could be not just effective but fun. People often enjoy reflecting on their own personalities and predicting their own futures, and when they’re the age of our students they tend to find personality and relationships particularly engaging. Moreover, they’ll probably like the story of psychologist Forer and the test he ran with his students. I see the ideal outcome of using astrology to be a confirmation that it has no scientific basis, with discussion of the difference between science and pseudo-science. At the same time, it would be a pity not to recognize that horoscopes have an imaginative appeal or that people who “believe” them – or at least, while reading them, don’t disbelieve them – are quite possibly doing no harm! The premise behind astrology is that the position of the stars and planets influences human characteristics and the course of human lives. It has a long history in many cultures, such that consulting the position of planets at birth and at important occasions has often formed a basis for life decisions such as a suitable match for marriage. Here, for convenience, I’m using the western zodiac based still on 12 divisions (ignoring the 13th). But you may choose otherwise. “August 2018 – On August 8, the sun conjoins retrograde Mercury. It’s easier to read between the lines and hear what is not quite said out loud. The new moon and solar eclipse on August 11 could bring a sudden opportunity to do something important. You may have wanted to do this for a long time, or it may have never crossed your mind before. “August 2018 – The moon-Venus trine on August 5 can soften an awkward situation and lead to more romance when Venus trines Mars on August 7. Uranus goes retrograde in Taurus that day, too. What you say may not be what is heard. For class, you’ll need to print out all 12 horoscopes for the month you’re in, to distribute them to the students to whom they apply. Do you believe your horoscope? If so, what do you mean by “believe” in this case? Do you believe that it is giving literal, factual predictions – or do you mean something else? Does it provide testable statements, that could be proven factually false by the events of the month? Does it give advice? If so, is that advice specific particular situations or generally applicable to most situations and most people? Is any of it bad advice, or would you consider it generally good advice in most circumstances? To what extent are predictions and advice dependent on your own interpretation of what they mean within your own life? Do you find it entertaining and imaginatively engaging to read your horoscope? If so, why? One of the interesting questions here for Theory of Knowledge is what we mean by “believe”, since belief comes in so many shapes, sizes, colours and temperatures – metaphorically! – and so many degrees of conviction and significance! With astrology as a focus example, we might be able to explore, with our students, the ambiguous nature and sweeping inclusion of this word – part of the central vocabulary for TOK. Is the number of people who appear to “believe” in astrology affected by the kinds of questions they’re asked? Has “belief” in astrology really risen in recent years? In the United States,the National Science Foundation’s study harks back several years: “In 2012, slightly more than half of Americans said that astrology was ‘not at all scientific,’ whereas nearly two-thirds gave this response in 2010. The comparable percentage has not been this low since 1983.” Current articles in The Atlantic and in The Independent assert the rise of astrology in popular culture as a starting premise for their discussion. Worth reading, though, is an article by researcher Nicholas Campion (“How many people actually believe in astrology?”) He acknowledges the limitations of his sample size and the difficulties of pinning down what people actually mean by “believing”: “My samples were small, and each one represented a snapshot of a particular group, which makes it difficult to generalise. But all suggest that when we ask a variety of questions we arrive at different answers. How many people believe in astrology? It could be 22%. It may be 73%.” I wonder if he took into account Coleridge’s temporary “willing suspension of disbelief” that those of us who teach literature so often invoke. 2. What is the difference between science and pseudo-science? For us in TOK, the distinction between science and pseudo-science is an important one supported in the course materials and all the relevant textbooks. 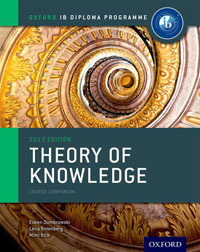 (See my own Theory of Knowledge, especially chapters 3 and 19.) The major distinction lies, of course, in whether knowledge claims in astrology can be – and are – tested against evidence. If the knowledge claims elude any testing altogether, or if they are not open to being proved false by contrary evidence, then the field is not scientific. Another major distinction is whether the explanatory link a field draws between events is merely correlation (When A happened, B happened.) or whether that link is one of cause. But again the central point is that scientific knowledge claims are open to being provisionally confirmed on the basis of evidence, or proved false and discarded on the basis of evidence. Some people point out that the constellations have long been out of alignment with their interpretive traditions, and that just fixing the math introduces a 13th constellation (Ophiuchus) and changes all of the horoscopes of the past. Astrological predictions have not even been consistent with astrology’s own basic assumptions! Some “believers” may be utterly dismayed to discover that they’re a different sign from what they previously thought – and therefore, with different planetary influences, they must conclude they have different characteristics and a different destiny. Identity crisis! (Interesting article in the New Scientist: “No, NASA hasn’t changed the zodiac signs”) But really, whether there are 12 or 13 or 22 constellations is beside the point when the stars cannot be established to affect human destinies in any case. 3. How can social factors influence whether people are likely to believe their horoscope? Social unrest and cultural agitation have been argued to create a sense of anxiety and instability. At such times, belief in superstitions often increases to ease stress by affirming that everything happens for a reason. Ideas about personality and relationship patterns involve so much complexity that astrology is welcomed as providing simple answers. The simple patterns of astrology compress to symbols and a few words, so lend themselves to circulation on social media. The “post-truth” era discourages critical thinking and encourages relativism, so that the line between “true” and “false” has become much harder for people to draw. Tolerance of diversity encourages people not to reject – at least out loud, explicitly – a system of belief that has been culturally important in the past for many people. If you ask your students WHY they think people might believe in astrology, their conjectures may be just as valid as those of many social commentators who are simply proposing their own ideas. In the realm of conjecture, we can’t point reliably to cause – but part of an exploration of ideas is asking the questions and wondering about the answers. Out of such discussion may come testable hypotheses and surveys that give us more reliable answers. And now we come to a really good story! Have you already heard of the personality test that psychologist Bernard Forer gave to his students? Fortunately, your students are not likely to have, so you’ll have the fun of storytelling yourself. So…what Forer did first was to give all his students a personality test in which they chose the characteristics that best described them. In a subsequent class, he said he had derived an individual personality profile for each one of them. He did have a real profile for each, based on the tests, but that’s not the one he handed out first. Instead, he made sure that no one in the class could see each other’s profile – and then handed out to everyone the same profile! Teachers with lots of practice writing tactful reports on students might have particular insight into what these two statements could imply! Moreover, students will quickly see that statements that apply to ALL people, in a vague and woolly way, are going to apply to particular individuals – and you can tuck into discussion, with future class uses in mind, another application of universal positive statements (“all”) as opposed the particular positive statements (“some”). Conclusion: What’s the harm in astrology? The real crux of a TOK class on astrology, or any other thoroughly debunked superstition or system of meaning-creation, is whether it matters if what we believe is true. All the same, though, could I put in a good word for astrology? It’s worth knowing about, since it has a long history and is part of many cultures. It’s part of the history of thought, and, like many cultural myths, comes along with appreciation of artefacts, arts, and practices. It contributes many images, stories, and songs that run through contemporary culture as well, providing common references points. Moreover, astrology continues to exercise an intuitive appeal to many people. Intuition as a TOK “way of knowing” gives us swift grasp of patterns and connections, visual and narrative, before the slower processing of reason as a “way of knowing” kicks in and has the time to examine them. It’s a problem that intuitions are often difficult to dislodge, inclining us to a whole array of cognitive biases and superstitious explanations that undermine an understanding of the world based on carefully won fact. And yet…and yet…and yet intuitions also feed into imagination, another TOK “way of knowing”. And loving literature, film, and photography for their narratives and images, I wouldn’t dismiss lightly a system of interlocking stories and pictures that has appealed to so many people. Astrology has a story-making function we can all enjoy, and from it we can take reflections that we might find enrich our lives. We can surely see astrology for what IT IS NOT – and it’s not a science – but surely we can also see it, more appreciatively, for what IT IS. This entry was posted in IB Theory of Knowledge and tagged confirmation bias, critical thinking, fallacies, human sciences, imagination, intuition, natural sciences, prediction, reason, truth. Bookmark the permalink.